Chestnuts fall only in September and October. They are perishable, and must be refrigerated to delay spoilage, principally from molding. If allowed to dry, the chestnut kernel, being a living seed, will soon die and lose its natural enzyme protections against mold. (On the other hand, with a little drying their starch converts to natural sugars, which enhance the chestnut flavor.) 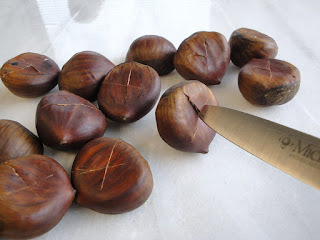 Fresh chestnuts are ideally stored at temperatures of 32F at high humidity in mesh or other breathable bags. If stored in unvented plastic bags, the nuts will transpire and the trapped moisture will hasten molding. Chestnuts can be frozen once they are peeled Thawed chestnuts are fine for recipes requiring purees and confections, and OK for soups, stews etc. 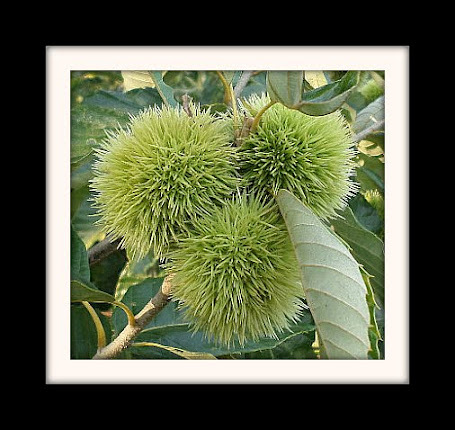 American chestnuts, such as we grow, are not only sweeter; they are comparatively easier to peel than most European varieties. Here is the best way in our experience: boil them in water for a few minutes, remove a few at a time, chop in half with a heavy knife and peel with your fingers. Sometimes the half-kernel will just pop out if you give it a little squeeze. TIP: Fresh out of hot water they peel easiest. Below is a picture of piercing the chestnut skin. 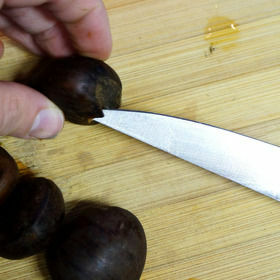 A chestnut knife makes it easy, but a small, serrated paring knife works well. To roast fresh chestnuts, cut a shallow slice through the skin, place in a covered pan and bake in a HOT oven at 375 until the nuts are tender. Time in the oven is 15 minutes, more or less, depending on moisture content (freshness) and size of the chestnut. 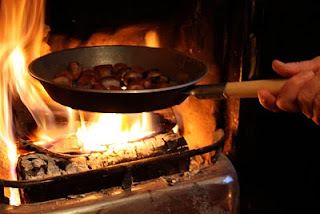 You can also roast chestnuts on the stove top on medium heat in a heavy pan, on a barbecue grill, microwave them (30 seconds or so for one or two nuts), or use an old-fashioned popcorn popper in the fireplace. 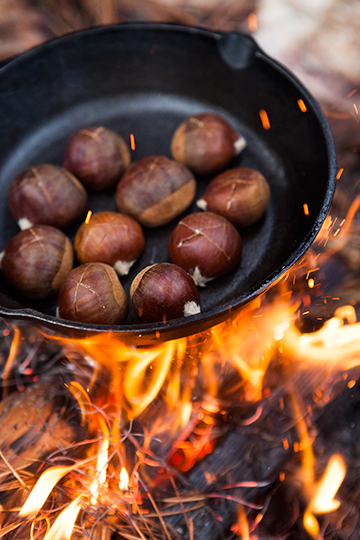 TIP: roasted chestnuts peel easier when still hot, fresh out of the oven. And remember they can blow up, like popcorn, so to avoid too much fun and excitement, don't forget to pierce the skin. The picture shows a chestnut roasting on an open fire. What about the X ? Many, actually most recipe books, internet advice and old fashioned habits tell you to mark an X in the back of the chestnut before roasting. We've found that the slice across the top makes peeling much easier. The nuts practically fall out without having to actually peel off the shell. But remember to peel while hot!! 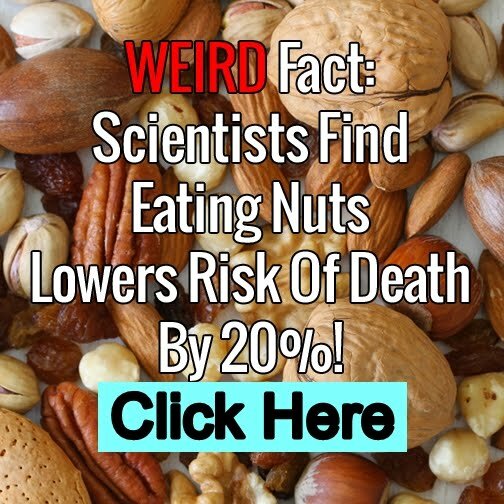 Click to see a 20% risk reduction in fatal illness. Nature’s Choice Biodynamic Chestnuts Copyright 2015. Simple theme. Theme images by RicOld. Powered by Blogger.